Quill 850 Series Desk Set has a unique elliptical pen that will not roll when placed on a flat surface. 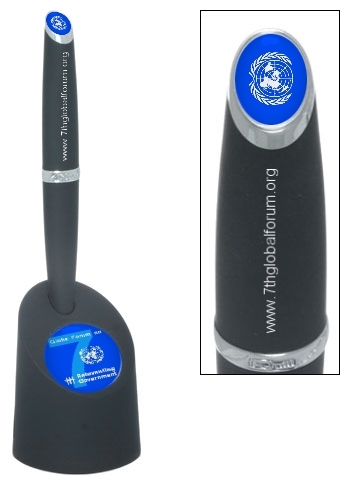 The pen holder, with its prominent logo area, may also be used as a copy stand. With it's comfortable Velvet-Touch finish, the 850 Series Desk Set is a practical addition to any office ensemble. We are excited to introduce a brand new Quill Desk Set. 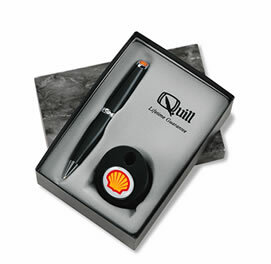 Quill's new desk set is ideal for business gifts and recognition programs. 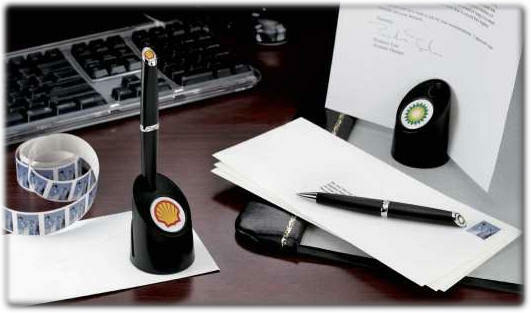 It's unique design features a paper holder in the base and an oval-shaped pen that won't roll off the desk, all in a silky-smooth, black rubberized finish. Like all of Quill's quality writing instruments, the 850 Series Desk Set carries a lifetime guarantee. 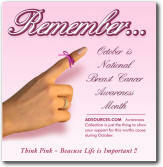 Photo Logo - Base - 1.19" diameter Pen - .37" x .44"
FREE setup of a four color logo. Ink Color Fine-point Blue. Black Fine Point is available optionally for $0.39 each on request. Laser Engraving: Is not available on 850 Series Desk Set Pen or base. Production time For new orders with standard packaging is 7-10 days. All Prices are FOB Factory in USA. Packaging FREE 2 piece gift box.